You CAN cover your needs for retirement! 19 May You CAN cover your needs for retirement! The word “retirement” can be either the sweetest sound you have ever heard or the most terrifying thought – the difference being how your retirement preparations have gone. The fact is that most of us would like our retirement to be worry-free and comfortable, but we fear that it will be anything but. Even if your preparations so far haven’t gone as you wished, there’s no need to worry: you CAN cover your needs for retirement. I am convinced that in as little as 3 to 5 years you can set yourself up for a comfortable retirement. The goal is to change that way you plan for it. 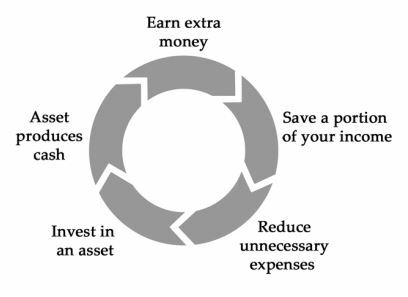 Instead of saving up a pile of money and hoping you don’t outlive it, set up multiple streams of income that never stop flowing. If you are nearing retirement age and your bank account is smaller than you would like it to be, the idea of trying to save up enough may seem nearly impossible – and in fact I don’t think that’s the best path for you. Too many things can make that pile of money go up in a puff of smoke. Instead, I think that determining how much money you will need each month – and then setting up enough income streams that together bring in that amount – is the way to go. I call this method the “Wealth Wheel”. If you follow that method, you can either retire right away or keep going a little further and set yourself up for a retirement of true luxury. It’s just a matter of changing the way you look at retirement planning.